The Touring Network’s Annual General Meeting was held on Tue 12 Dec 2017 at the Impact Hub Inverness, followed by our Christmas Social. We were delighted to have the opportunity to mingle with so many of you who had braved the winter weather to join us! Many thanks to those who attended and to those who sent proxy votes in – we are delighted to welcome John Saich and Rhona Dougall to The Touring Network Board of Directors. They both have bags of experience which will be of huge benefit to the Network in the coming period. The board said goodbye to Melanie Baines, Karl Jay-Lewin and George McConnachie, whom we would like to thank once again for all their time and dedication over the past few years, and in particular to Melanie who stood in as interim Chair before Christine Hamilton took on the role in 2016. We are still open to receiving applications for another board member, so if you are interested please get in touch. We also said goodbye to Tamara Hedderwick who has been our GET IN Project Coordinator. Many of you will have come into contact with her over the past 2 years, and will therefore know how dedicated she has been to this role, and will also appreciate the energy she has brought to it. We wish her well for the future. As I’m sure you are aware, The Touring Network is one of Creative Scotland’s Regularly Funded Organisations. This 3-year funding covers our core costs and many of our programme costs, freeing us to target other funders for more strategic work. You will see evidence of this strategic approach over the next year or so – in particular Connecting Creative Communities and the Heritage Project, which are aimed at recognising the importance of promoters’ impact on their communities and how we can continue to develop as a network to ensure we sustain this cultural asset. Our multi-year funding is dependent on the allocation of funding for Culture from the Scottish Government to Creative Scotland. Budget announcements released today show that the Scottish Government have not only protected but increased the overall spend allocated to arts and culture. Whilst this is very good news, we are conscious that there is still a decrease in funding to the arts from local authorities which has a considerable impact on rural promoters. We are currently awaiting the decision on whether we have been successful in the latest 3-year funding round, and this information will be released by Creative Scotland at the end of January 2018. We are confident that we have strategies in place for a number of different scenarios which will enable us to continue to support the Network, should we receive a cut in funding. We will of course let you know as soon as we hear. 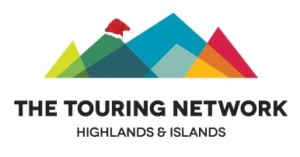 Please note that The Touring Network team will be on annual leave from Fri 22 Dec through to Fri 5 Jan 2018. Interested in becoming a board member? Get in touch.